The Redemptorists first came to Limerick in 1851 to preach a mission in St John’s Cathedral. Two years later they established a temporary presence in Bank Place and moved to the present site – which they named Mount St Alphonsus – in 1854. Our wonderful church was dedicated on December 7th, 1862. St. Clement’s College, a secondary school for boys, was established in 1884. Mount St Alphonsus has been a great centre of Redemptorist and Catholic life since its foundation and members of the community have preached the Gospel the length and breadth of Ireland. 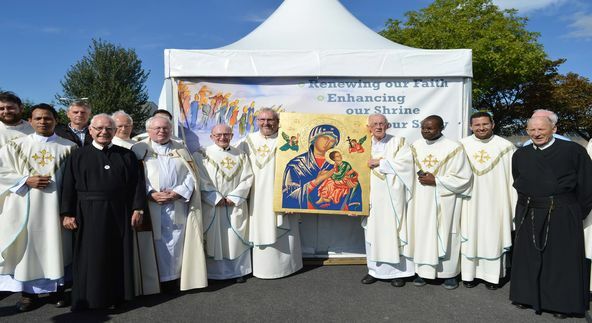 Our other communities in Ireland were founded from here and Redemptorists from Mount St Alphonsus have taken the Redemptorist way of life and the Gospel message to Australia, the Philippines, Sri Lanka, India and Brazil.